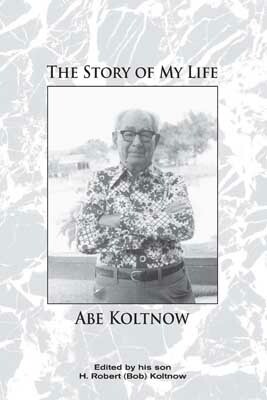 This book started as an autobiography of Abe Koltnow, written by him in longhand in 1973 just a few years before he became functionally blind and unable to read. It starts with his birth in 1888 in a small town called Raygorodok, Chernigov Guberni (State) and follows his 73 years of working in all kinds of occupations. This book is a straight transcription of Abe’s hand written document, penned on September 19, 1973, his 85th birthday. His son, Bob, filled in some gaps, adding some family pictures and documents making it a more complete life story and a permanent record of the Koltnow family history.